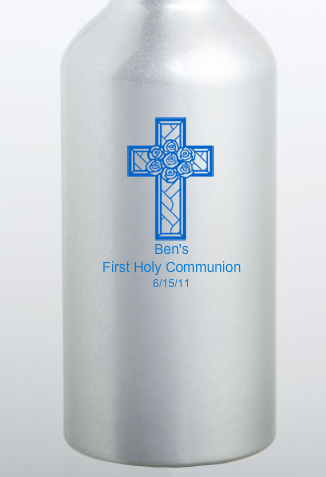 Giving 1st Communion favors can be especially enjoyable with these personalized metal water bottles. 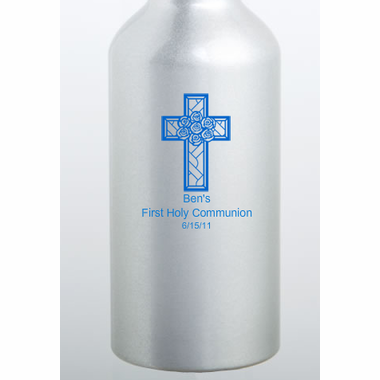 Not only will your guests remember your important event, but they will never go thirsty. Measuring 7" x 2" and able to hold 400ml/13.53 ounces, each aluminum bottle has a glimmering silver metallic finish, a black screw-on top for a tight seal and an opening for a clip.? The finish is perfectly suited for silk screening the design of your choice directly onto the bottle with amazing accuracy.? You choose from a wide variety of all occasion themes, colors, designs and titles to create your own customized artwork that you can see as you design it through our online animation feature that also allows you to see an actual proof.? 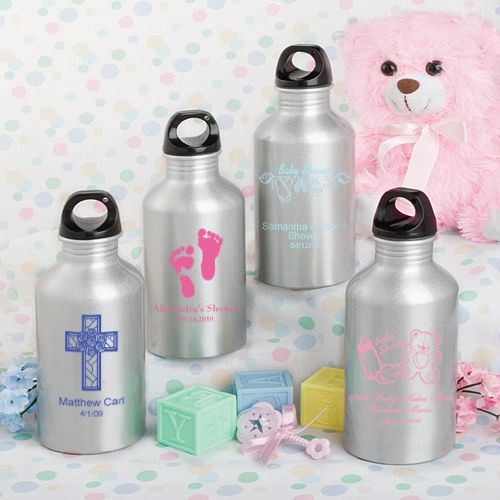 These personalized water bottles come bulk packed. ?You can also create your proof online.